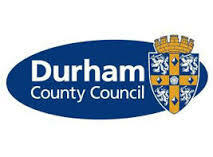 Funding for projects and activities aimed at young people in parts of County Durham is up for grabs. The East Durham Rural Corridor AAP Youth Forum has a £30,000 fund, provided by the AAP, to allocate to eligible not-for-profit groups. Groups can apply for up to £4,000 and members of the Youth Forum will assess all of the applications to ensure they meet the criteria. Applications can come from any not-for-profit group but the idea behind the bid must have come from a young person and projects must be aimed at benefiting young people in the AAP’s area. The AAP covers the Bowburn, Cassop, Quarrington Hill, Kelloe, Coxhoe, Tursdale, Deaf Hill/Trimdon Station, Trimdons, Fishburn, Sedgefield, Bradbury and Mordon areas. Young people between the ages of eight and 17 who live or study within the AAP area will vote to decide which projects will receive funding. Completed application forms must be returned before midday on 3 October 2014.